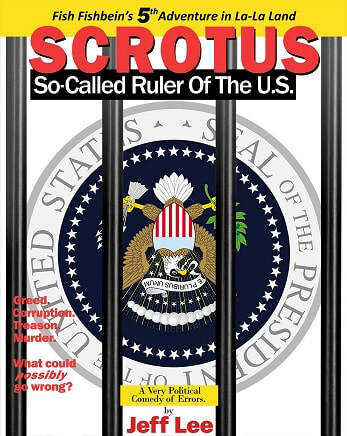 SCROTUS--So-Called Ruler of the U.S.
5th book in "Fish" Fishbein's Adventures in La-La Land series. Think: All the President's Men meets Jason Bourne & The Three Stooges. They say that politics makes for strange bedfellows. In SCROTUS’ case, very strange. Very fast-paced and very funny, too. With more Alternate Facts than you can shake a White House Press Liaison at. Imagine All the President’s Men meets Jason Bourne and The Three Stooges. But you can check out the first few chapters now. Just hit the "Go to Sample Chapter" link below.